One major focus in my classroom this year has been reflecting on and synthesizing our learning. Because of that, each of my students has an ePortfolio where they can show off their work and write a reflection on the process. Since we typically reflect on our learning through words, I thought it would be fun to try to reflect orally for a change! (1) On Day 1, my students were asked to brainstorm a list of bodies of water from a small creek to a huge ocean (and everything in between). (2) Next, my students were given a U.S. map and a map of our city. They were also given access to Google Earth on laptops. With these tools, they needed to try to locate examples of each body of water that they had brainstormed. 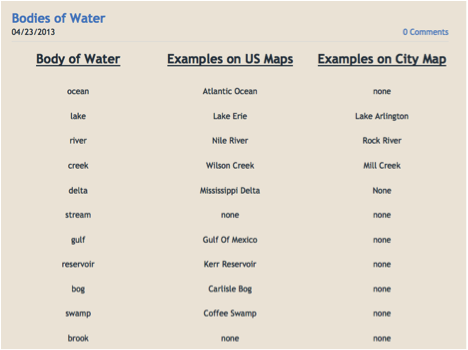 (3) Students recorded each specific body of water on a table that we created on our blogs. Some bodies of water could only be found on one map, while others could be found on both. 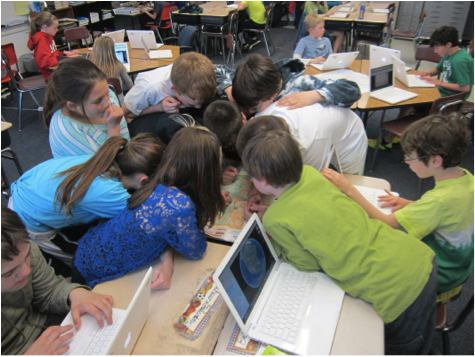 (4) Once time was up for researching on the maps, students were asked to analyze their findings. Reflective questions were posed via our classroom website. (5) Students were asked to answer their questions using GoAnimate! After creating it, they embedded it on their blog for others to see and comment on. (1) Students got into their account (or created a new one). 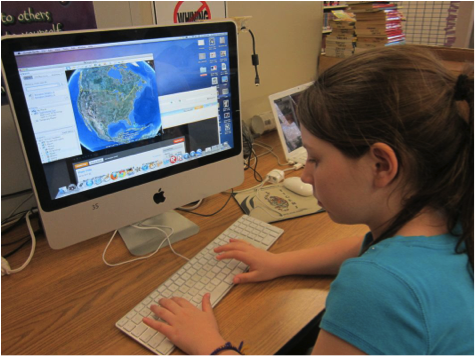 (3) Underneath “Quick Video Maker,” we clicked on “Watch the Quick Video Maker Tutorial” together as a class. I paused it at different points to clarify and to check for understanding. (5) Students chose their own individual theme, setting, and actors, keeping in mind that I was one of the characters and they were the other character. (6) To construct the dialogue, students copied the questions that I posted online into the first dialogue field. (7) Then, they recorded their voice, answering that question in the second dialogue field. (8) This process was repeated for all five questions. (11) A window popped up, and students were able to copy the Embed Code for this video. They did that and pasted it into their blogs. (12) Once published, students were assigned one student in class to watch the video of and compliment in the comments section (so everyone had at least one comment). After that, they were able to watch any others that they wanted to with the only rule being that they had to add compliments to all videos that they viewed. 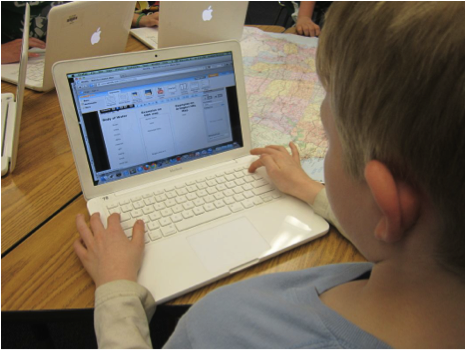 Editor’s note: Paul’s class used GoAnimate.com, the public, consumer site. 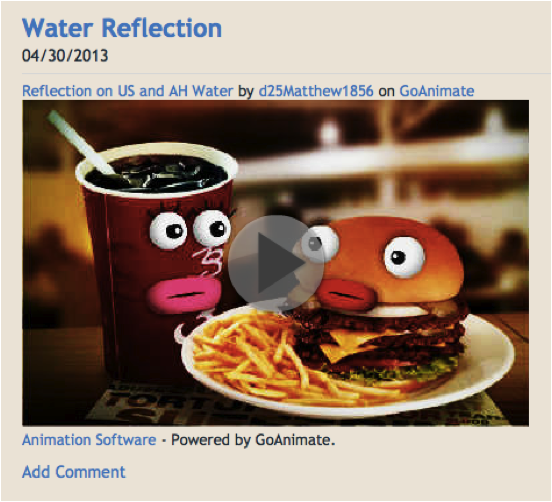 We always recommend that educators and their students use GoAnimate for Schools, the school-safe version of the site. Press And Mentions: Go ahead! Go Animate!